What is the relationship between art and the city? It’s a question that has cropped up a lot lately. It informs two current exhibitions: ‘The New Human’ (until 18 October) at Moderna Museet in Malmö, Sweden, and ‘Society Acts – Version 2’ (until 19 April) at kim? in Riga, Latvia. It provided an undercurrent to the recent ‘Olohuonenäyttely’ (Living Room Exhibition) which saw residents of Kallio, in northern Helsinki, open their homes both to art and to the public. 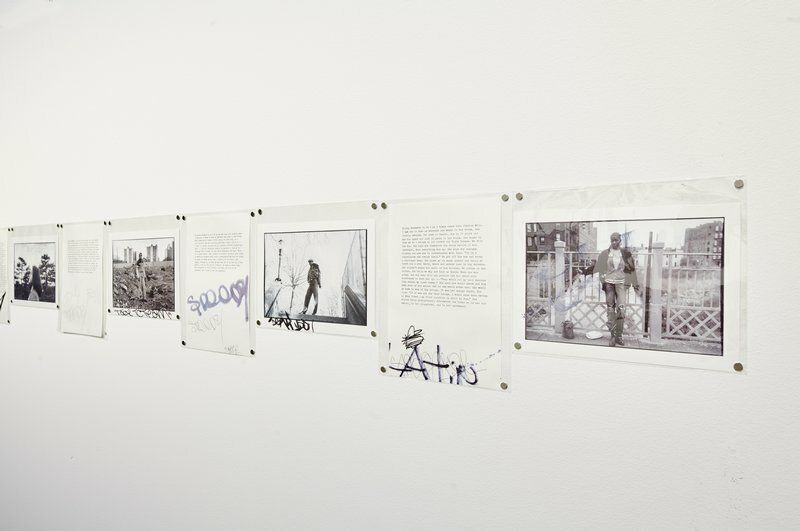 It also underpinned the recently finished ‘City Walks’ at Bonniers Konsthall, Stockholm. Intercourses (2013), Jesper Just. Exhibition view. Since the start of the year, entry to Bonniers has been free, and it was packed on the day I visited. The museum is a private institution supported by global media giant the Bonnier Corporation. There’s an international focus to the programming too: ‘City Walks’ tells of ‘interpersonal meetings, historical power games, and global politics’. Of the six artists on show, only Lisa Torell could be considered local. Increasingly, the same ‘alternative’ stories are now being told in every city in the world. Museums are in a position to question this development, but often only seem able to reinforce it: the same William Kentridge films in ‘City Walks’ were in Bogotá last year (they resonated far more in that divided city than they do in Stockholm). 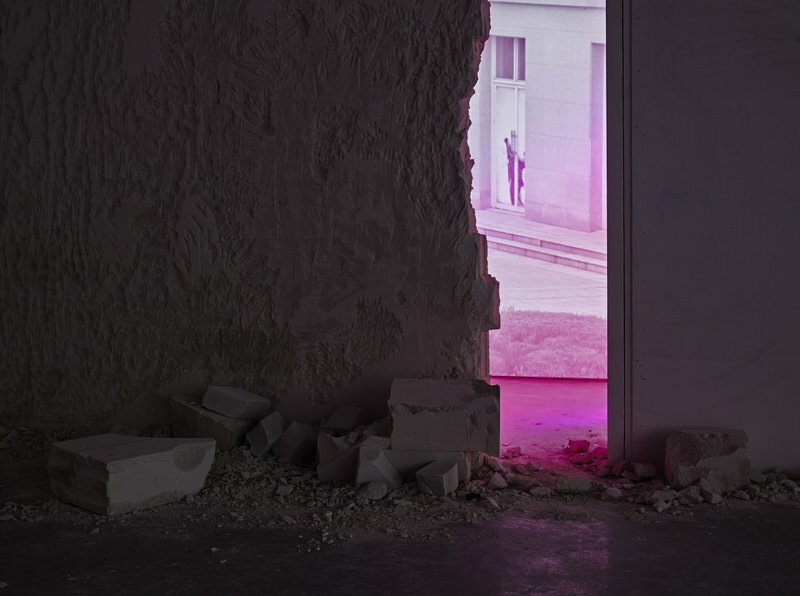 Unsurprisingly, perhaps, Torell’s is the strongest work on show, although Jesper Just’s installation is striking and Sophie Calle’s 1980s encounters with strangers in the Bronx are characteristically vivid. On the flip side, increasing internationalism has enabled a sense of solidarity among artists and other cultural workers. An excellent book has just been published entitled Art Workers: Material Conditions and Labour Struggles in Contemporary Art Practice. The book’s greatest strength is its sensitivity to local experience. It highlights many examples of artists not being paid for their work, even for exhibitions at major public museums. In Sweden, the 2009 MU Agreement was supposed to put an end to this practice, but artist Erik Krikortz describes it as an unfulfilled promise. Finland’s gallery rent model is coming to the end of the road. But what will follow it? In Helsinki, artists are beginning to mobilise. It is in this charged context that international art superstar Jeremy Deller was commissioned by the IHME festival to produce a work of art in a public space. To me, Deller’s work has always seemed far too easily co-opted by those institutions and ideologies that it professes to challenge. Neither IHME’s 24-hour screening of rock documentaries nor the artist’s superficial Q+A with Hayward Gallery director Ralph Rugoff did anything to dispel this impression. That said, the central ‘work’ of the festival (Deller denied that it was art) was much more interesting. 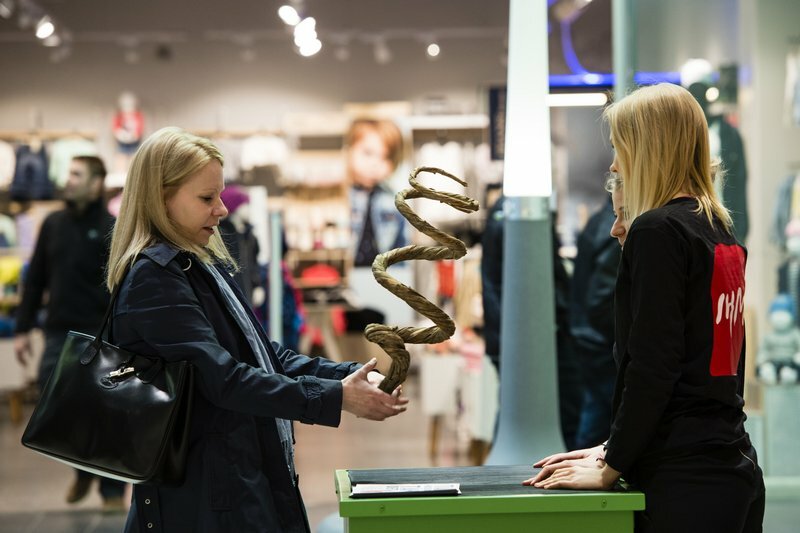 For Do Touch, 42 museum objects were selected from seven Helsinki museums and displayed in train stations and shopping centres across the city. 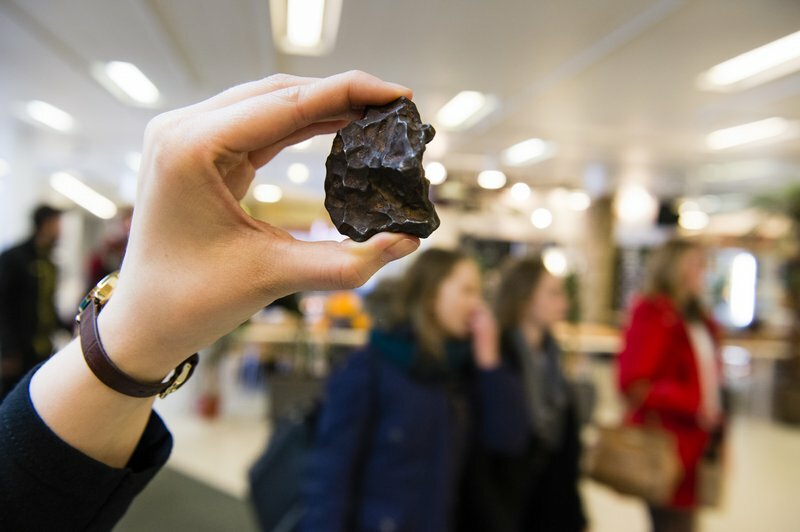 Members of the public were encouraged to handle the objects – which ranged from a lump of iron older than the earth to a 1979 Nokia portable phone. The tactile experience, combined with the personalities and knowledge of the project stewards (several of whom were more interesting than the objects they accompanied) made Do Touch a clear success. Over the course of the week, some 5,500 people engaged directly. But what did the project say about the relationship between art and the city? In Finland the nation state remains a significant source of both funding and inspiration. Helsinki’s Ateneum Art Museum has just finished an excellent exploration of the life and work of composer Jean Sibelius and his relationship to the visual arts. Sibelius and his friend Akseli Gallen-Kallela were key figures in the formation of Finnish national identity. Meanwhile, an initiative called METAFIN is exploring how Finnishness has been constructed and branded. The resulting exhibition will take place during Helsinki Design Week this September. Perhaps this interest remains strong because Finland is such a young country: 2017 will see the 100th anniversary of independence, accompanied by a wealth of exhibitions engaging with national history. Or perhaps it’s because the state is still such a major funder of the arts here. But for how long? Finland’s next parliamentary election takes place on 19 April. Further cuts to the visual arts seem inevitable. Such cuts will have a huge impact. In a public lecture at Exhibition Laboratory, Helsinki, Hou Hanro, Artistic Director of the MAXXI in Rome described how museums are no longer ‘public institutions collecting cultural memories’ but part of a ‘culture industry based on the logic of the market’. As cultural production becomes an increasingly globalised activity, the role of the museum is changing. No longer underpinned by the ideology of the nation state, certain museums (Tate, Louvre, Guggenheim et al) are becoming like multinational corporations. St Petersburg’s Hermitage Museum is planning to open a second branch in a 1960s former car factory in Moscow. Later this month, Taidehalli Helsinki is hosting ‘Guggenheim Helsinki Now’, an exhibition of the final designs for the still-speculative museum. In this context of competitive capitalism, Deller’s Do Touch felt less like the work of an artist (or artist-curator) than an initiative of a museum marketing department. That’s not a criticism necessarily; more a reflection of how this changing cultural context is blurring the lines between art and marketing. ‘My role is communication’ said Deller at the Q+A. Directors of several of Helsinki’s leading museums were in the audience. I’d be surprised if Do Touch does not become a regular occurrence. Forum: should we be cynical about museum franchises? In 1665 Louis XIV asked Bernini to design a new façade for the Louvre. What would it have meant for Paris if the Sun King had commissioned him? British Museum bids farewell to Neil MacGregor; MFA Boston names its next director; plus, should there be a time limit on restitution claims?